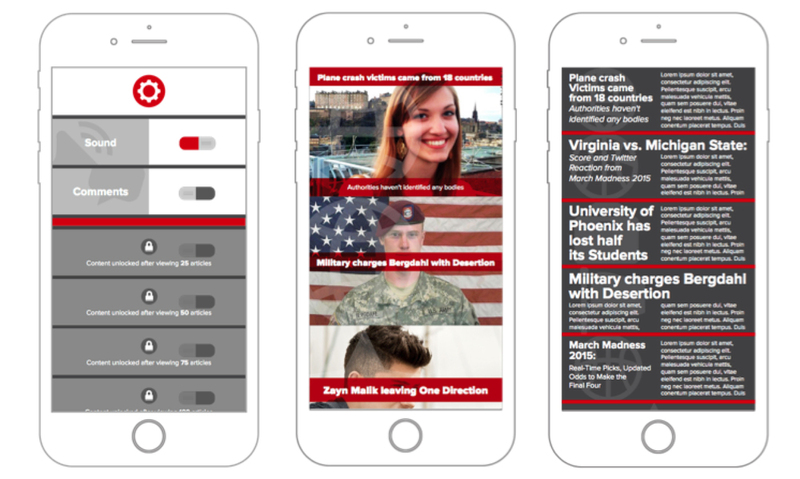 CNN Real is an app concept with the goal of reaching out to a younger generation. Extensive research was done through surveys and interviews to find out what this demographic would want out of a news app. This helped shape the functionality of CNN Real. Customizable content and visuals allow the user to create an app tailored to their specific needs. The use of playful transitions and interactions help add excitement and fun while staying on brand with CNN. The use of hidden navigation allows the user to fully experience the content of the app.